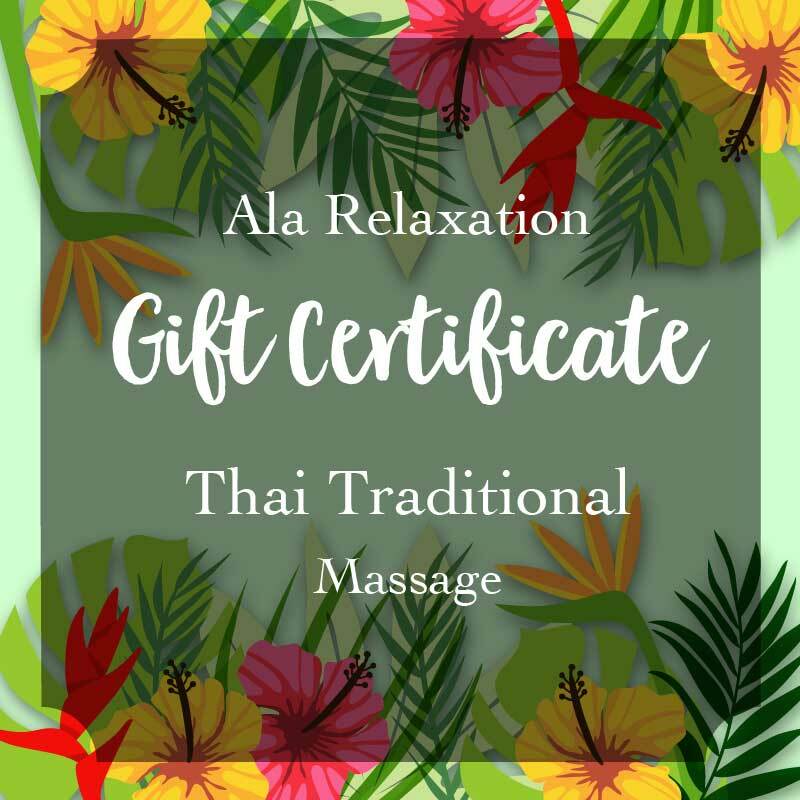 Massage gift certificate of Ala Relaxation Okinawa Thai traditional massage. Receive an authentic Northern Style Thai Massage by massage therapists who received training in Chaing Mai, Thailand. This ancient healing art has its roots in India and incorporates yoga, stretching, and acupressure. 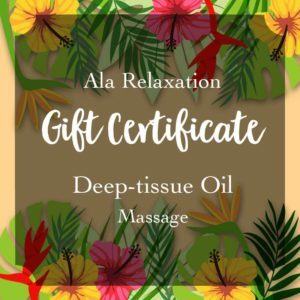 It is a deeply relaxing massage that increases inner peace, balance, and flexibility.